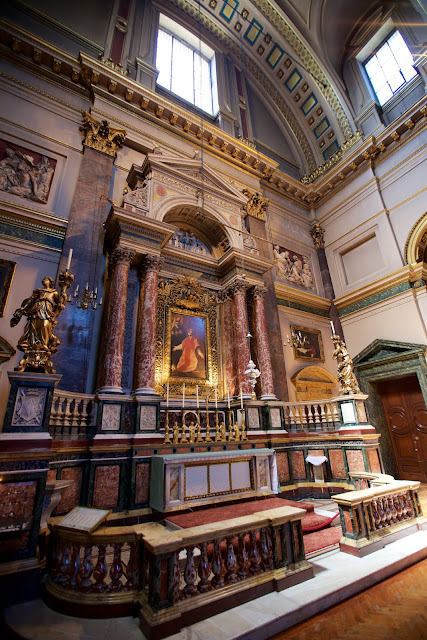 Continuing with out tour of the art and architecture of the London Oratory, today I wished to turn your attention to the other major side altar of the Oratory, the altar of St. Philip Neri. 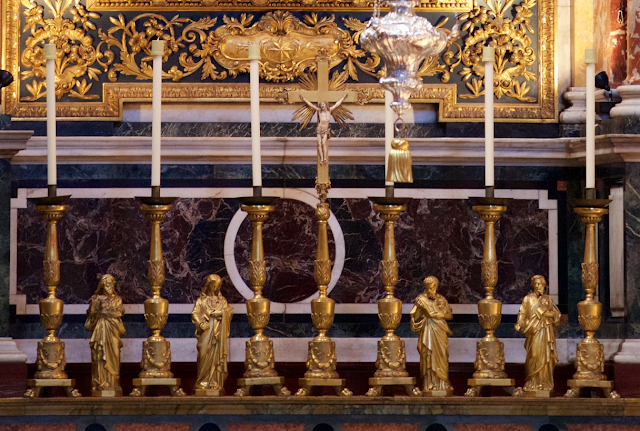 After the High Altar and Lady Altar, this is the next most well known altar at the Oratory, located just to the left side of the sanctuary, directly opposite to the Lady Altar featured in our last post. This particular altar was designed by Gribble and is composed of Italian marbles. 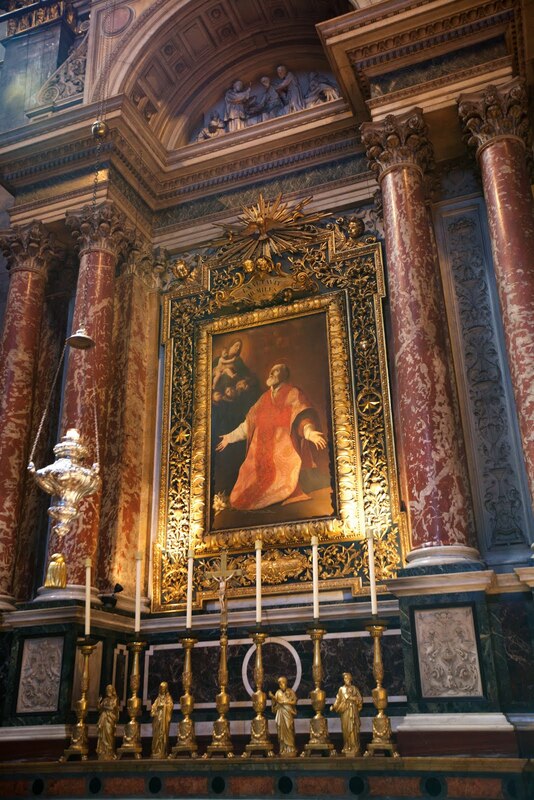 The painting of St. Philip, which forms the main artistic focus of the altarpiece, is a copy of a portrait of the same by Guido Reni -- who also painted the crucifixion found above the high altar of the FSSP parish in Rome, Ss. Trinita. The original painting is found in the rooms of St. Philip Neri at the Chiesa Nuova in Rome. The pediment of St Philip's altar is adorned with a high relief carving depicting the death of St Philip by Milanese artist Girolamo Moneta (active 1877-94). 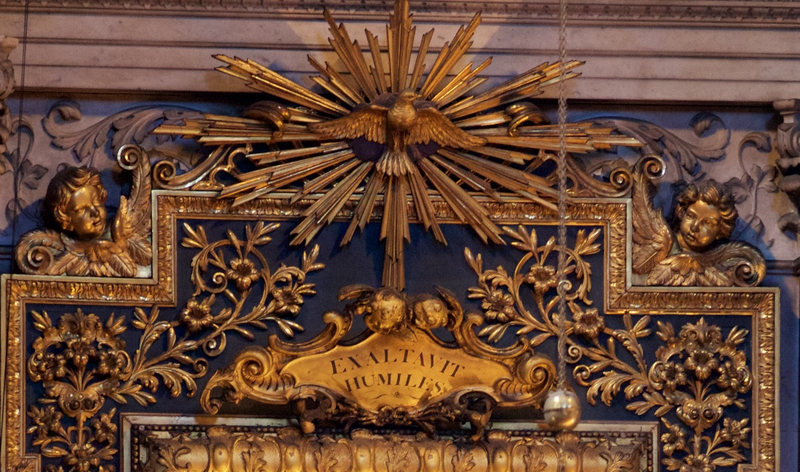 Below the altar lies a wax effigy of St Philip wearing Mass vestments. The effigy of St Philip contains a relic of the saint and is usually covered by a frontal and exposed only on certain days, such as feast days. 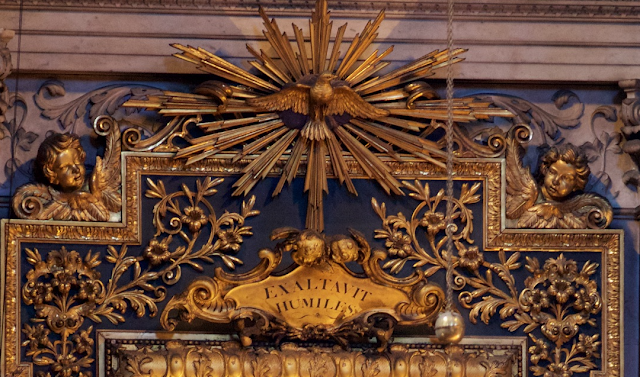 The altar in this chapel was the gift of Henry, Duke of Norfolk, whose coat of arms adorns the front panels of the pedestals at either side of the altar. 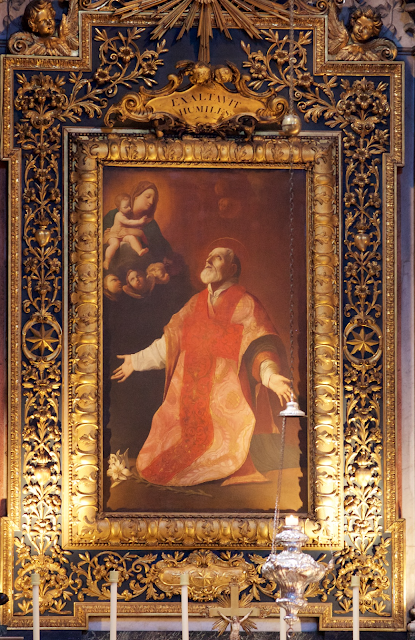 Two relief panels are found on either side of the altar which depicts scenes from the life of St. Philip Neri. These were executed in the early 20th century by Lawrence Bradshaw and beneath these are paintings of St. Matthew and St. John, attributed to the Italian artist, Guercino.